I like playing Dungeons & Dragons over the internet. If I were to DM/host a campaign on here via play-by-post would anyone be keen to play? Idk. Just a thought. I've tried setting up forums for such in the past, but seems it was hard to try to persuade folk to regularly check them, let alone even come back. Depending how much of a time commitment it would be, I'd be up for it. Though it's not like I actually have much to do with my time right now anyway so I'd probably be up for it regardless. Unlike real-time games, at least play-by-post lets the group take the pace to their own leisure. The only real downside would be members of the group not checking the thread at least once a day/night or something to keep it flowing reasonably. Drav wrote: Sure. Which version? I've only ever played v3.5. So that one I guess. Mostly because I don't like the sounds of some of the classes in the new versions. Even if arcane spellcasters seem to have been rounded out. The only reason I'd recommend 5th edition over the others is that the basic rules are free, and I'm pretty sure most people here don't have much/any tabletop experience. 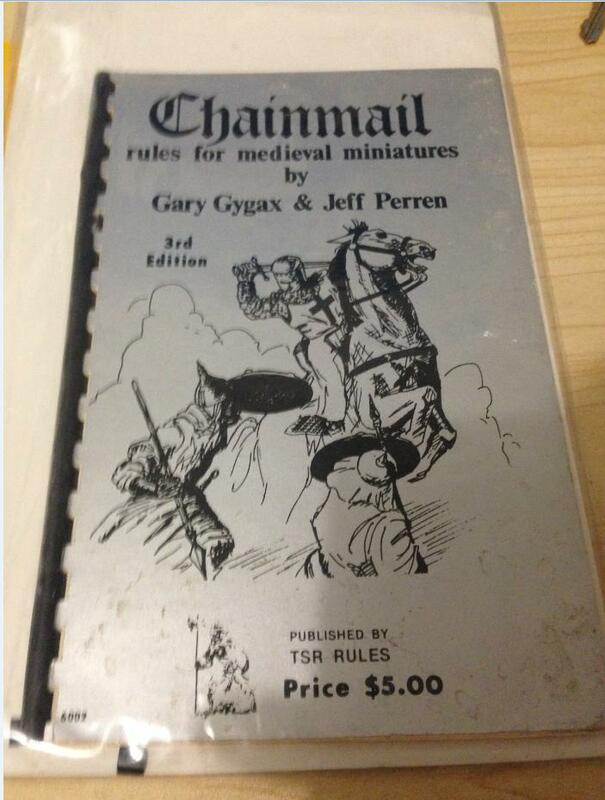 But I guess 3.5 has the OGL so the basic rules should be available for free somewhere anyway. Other than the only reason of mentioning v3.5 because of being the only I've played is that I've got all the needed manuals and handbooks. Though I suppose I could be open to 5. Are the basic rules really that much different? Well, if we're just talking about the basic rules then they're a lot simpler. No feats and only the four main races/classes. In terms of the full game, someone's made a summary of the major differences here. But if you have all the 3.5 books and are willing to provide people with the info they need for chargen etc. then you might as well go with what you know. Drav fucked around with this message on 2015/09/07 at 00:19:38. I have old threads/info/tools(resources, handbooks, rolling characters, an introduction to play-by-post, etc) set for transfer that I and a buddy created some time back specifically for PbP. All that we need is- is willing candidates. Can't say I've ever played Pathfinder. What's the differences other than rule fixes? Good links tho, man! This is a good start of items different. The biggest thing I liked was that they fixed spell casters to not be terribly useless at low levels. Always a good fix. Trying to convince someone to play some sort of arcane spellcaster was always a hassle. Those low hitpoints never looked convincing I guess. Then again, I never really left my comfy Cleric job. Heh. Can I put you down as in? Yeah sure. I'll play whichever ruleset. It has been awhile, so I'll have to re-read up on any of them, but thats fine. I've seen D&D played on forums before, but there's usually an addon to do dice rolling. Does something like that exist on FG currently or how do you plan on handling dice? FTR if you actually want to get this up and running I wouldn't wait around too long. Three or four players is probably about as many as you can expect from this place. Sweet as. Been busy with a flat/house move lately but I'll get onto tweaking some things. Everyone can rol their characters now if they want. Yeah, let's keep the stuff that isn't directly related to the campaign in the general DnD thread. Drav wrote: Yeah, let's keep the stuff that isn't directly related to the campaign in the general DnD thread. Yeah, I thought this was in the Campaign thread. Cheers for moving it, bud. I am going to use a Great Axe which is 2 handed and have studded leather armor. Don't want to guilt anyone too much but since Toementor has gone to the trouble of setting this up it would be good if everyone who said they'd play could start posting in the game thread. Don't overthink it, just post whatever. Toementor, shall I move the actual play to it's own thread? It might make it more obvious that we've started. Drav wrote: Don't want to guilt anyone too much but since Toementor has gone to the trouble of setting this up it would be good if everyone who said they'd play could start posting in the game thread. Don't overthink it, just post whatever. That's a pretty grand idea there, Drav. Go for it. That way, should anyone want to join, they can post it up in the other thread without disrupting the flow of the gameplay thread. How many times more than $5? My loins have become moist. The artwork in those are pretty neato. If by neato you mean rad. And by rad you mean so poorly that it's totally awesome. The art is bad but I'd rather look at this than some of the "dungeon punk" 4E stuff. Yeah, Eberron was a thing. All times are GMT. The time now is 22:40:23.